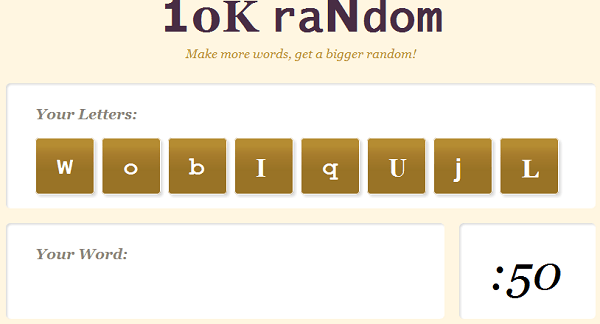 10K Random is a Learning/Word game, and not quite like the dilly dolly easy to play games of this category. It is a word game, and a really good one at that. Your objective is to make as many words as possible. You are surely going to end up with better language skills once you give some time to this game.